Over the past year or so I have been observing the engagement space of recruitment. Back in the day, people wrote letters to others. This was an art and people would craft words into meaning and substance. The total process of formulating letters as well as sending it took some time, and waiting for a response seemed to take even longer. However, there was always a magical feeling when you finally received a response from your last letter. Each letter took a great deal of time and attention. From the moment you wake up (social feeds, news, forums, puppy videos, etc. ), until the time you have reached the office, you have already had the luxury of having consumed tons of data, ranging from trivial to pivotal. The University of California-San Diego (Roger Bon) measured consumer information and found that people are, on average, consuming the equivalent amount of 34 Gb of data. That’s the equivalent of 100,500 words on average, per day. Let’s try to digest the abundance of information that the person you’re typing your very intellectually crafted brainchild of an email to, is having to cope. Given the average person has to manage enough words as it is. In a highly competitive ‘war on talent’ (cliché, but all so true), it is of course not easy to stand out with a message to present your brand well, while being engaging, etc. But, especially now, when every company is aware of the now or never paradigm when it comes to attracting talent, it’s essential to train your recruitment workforce like it was just tasked with writing the source-code to your minimum viable product (MVP). In plain English: explain to them that their job is of critical importance to the growth of your company. Most companies work very hard to build up a respectable reputation, and in most cases, this does not go without a struggle. Maintaining a high standard of your brand is a continues challenge throughout the lifespan of the company. Many companies also tend to forget about the hundreds of messages that a modern day recruiter, can send a week. Now the prospect of hundreds of highly tailored, personalized messages does sound appealing to most talent acquisition leaders. At least, that’s what my inbox is telling me when I scrolled through the last year of compiled reach outs that I have been receiving from recruiters attempting to convince me to switch jobs. Each and every one of the recruiters is happy to overload me with brand information, telling me how amazing their company is, without taking the time and effort to get to know the person they are sending the email. They have also not put into words any of my experience that made them decide to approach me. I’m not that interesting, although I know first-hand how hard it can be to hire solid sourcers and recruiters. Imagine having to hire engineers for a living?! Did the person who reached out actually take some of his/her time to do a proper background check on the relevance of my working experience? A compelling email title + headline also never hurts. My advice is to keep it personal so that the receiver of the email immediately knows that the email is unique and personable. Everybody wants to feel special, trust me. In my work, I’m tasked with finding the best engineers that the industry has to offer. Engineers tend to receive a lot of messages. So, let’s take approaching an engineer as an example. Exciting architecture or projects they could be a part of / open source repositories made by the company, shared with the community. An overview of technology stack used (yes, engineers care about a technology stack, where hyperpolyglot engineers tend to be a little bit more fluent in the adoption of new coding languages. How widely used or impactful the product or service is that they’d be working on. Information about values and company culture. By the way, Stackoverflow will provide you with a free-to-download yearly report talking about the “Global Developer Hiring Landscape,” which is worth while checking out. Can act as the physical representation of the brand, and in many cases the first point-of-contact for any person that previously did not interact with the brand. Have the ability to explain the added value of a company is within the industry. Have enough technical domain knowledge, to be able able to inform and assess a potential candidate, by asking critical questions and talking them through technical aspects of the job. Finding a balance between supplying technical information as well as assessing a potential fit for the role at early stages of engagements can be tricky, but if done right, can save your business tons of wasted interview time. 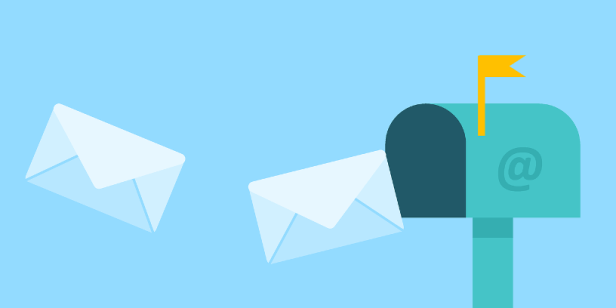 Understand how to grab someone’s attention within the first two sentences, as the person you’re reaching out to probably receives an access of 20 similarly intended emails per week. Over, and over again. But, here comes the shocker people. None of the above sticks without writing a genuinely engaging email, that shows that you have taken the time and effort to do a background check on the person, allowing you to build a honest connection, by explaining them why you have decided to send them an email in the first place. Email — What’s there to talk about? Well, what’s not to talk about? As a recruiter you’re as free as a bird in sourcing information about a person that is publicly available on the web. So use it in your best interest. What kind of decision-making has the candidate been part of throughout his/her career? What kind of code did the engineer write that was so interesting to you? No really, did you properly check ‘owned repositories’ on Github, or did you just decide to write about whatever cluttered your screen when you found this person. What kind of conferences did the lead attend or even speak at? What did this person touch on, and why is it so relevant to the work that your company is doing at the moment? What did they blog about online, that you just had to send them a relevant article or thought about, because it applies to heavily to the values of the company you’re trying to hire for? What coding competition got attended or won? And what relevant publications where once submitted in the candidates name? What is so hard about taking the time to take an honest look into someone’s experience or thought pattern, crafting an email that came from the heart, and showing that you actually care? That smile-giver right at the end. That genuine validation to ask them for a non-binding chat. That validation to get your foot in the door. In the end, all we want is the feeling that someone took an honest look at us, before sending that message, right? Last time I checked, it took me a whole lot of personalization to get my now-girlfriend to consider spending more than just ‘that Friday night’ with a tall Dutch bloke in one of the most tacky bars in Amsterdam (and this was 2013 when I was at least still looking half decent). But, also last time I checked, she was reading a book in our living room, petting our dog. Guess something must have worked. It probably had something to do with all that genuine interest I showed in her. Yves Greijn, Owner at Maven. Experience gained in full-cycle recruitment, deep software domain knowledge, leadership hiring, stakeholder engagement as well as candidate engagement. Loves sourcing and subsequent tooling, with a special care for (sourcing) process efficiency. Strong believer of the fact that a healthy company culture and strong hiring partners are pivotal to hiring strong contributors. Software industry for life.